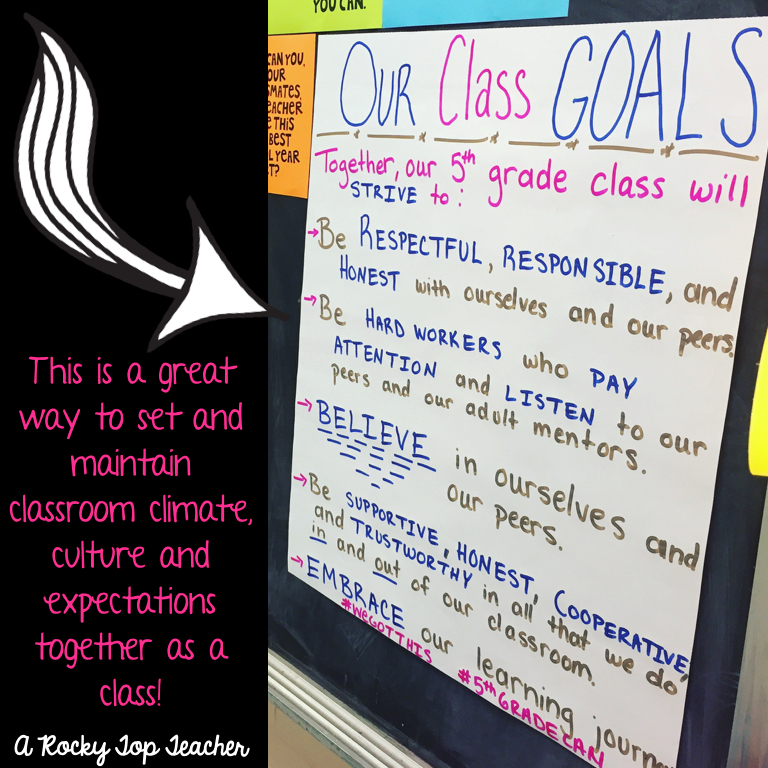 In our 5th grade classroom, we always start our day with a morning meeting. The meeting format changes as we grow as a class, but there are some aspects of our meeting that remain the same. I have often been asked about our morning meeting formats so I thought I would highlight some of our favorite parts of our meeting time together. Yes, this may seem small but you would be surprised how many of us don't say "Good Morning" to our kiddos! Every morning we start off our time together by shouting "Good Morning!" to each other with big smiles! It is a great way to start our day with a positive vibe. 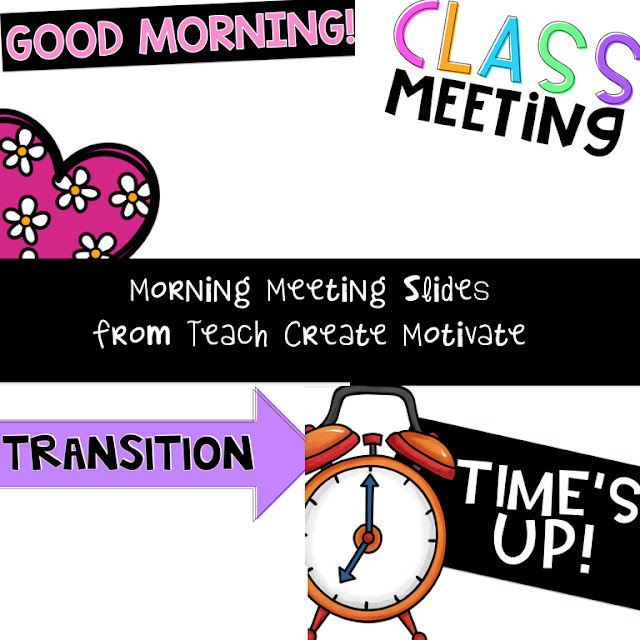 We use the Class Slides with Timers TPT file from Teach Create Motivate to help us stay on track with our morning meeting. Here are just a few of the slides that we use. You can check out her product here if you are interested! 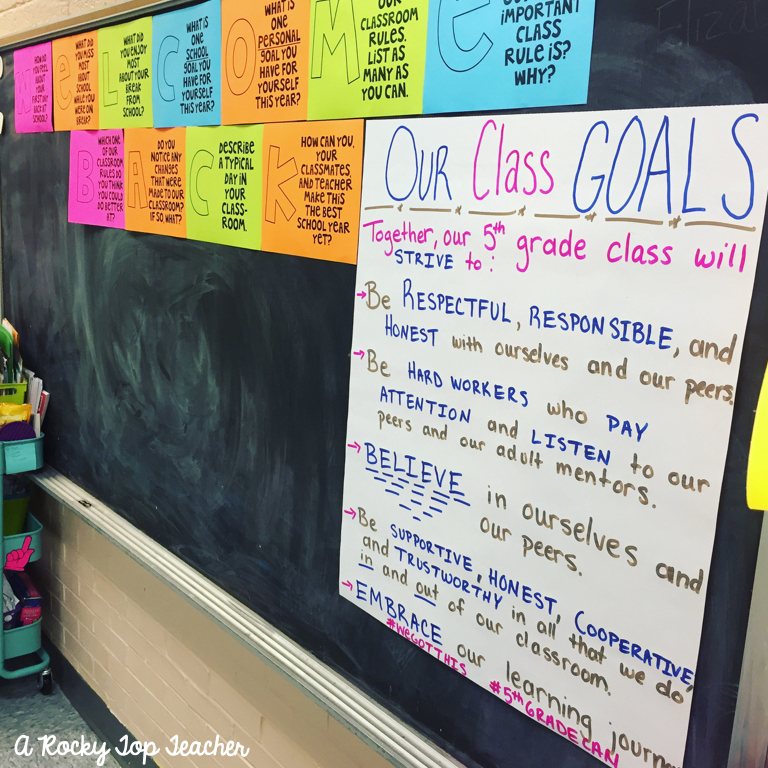 One of our students starts with the reading of our class goals. You can read more about them here. As he/she reads the goals, the rest of the class joins in. We are working on adding movements and signs to our goals right now to help continue to keep things engaging! Circle/Share time is for big kids, too! We spend a solid 5-10 minutes every morning just sharing things that are going on in our lives with one another. 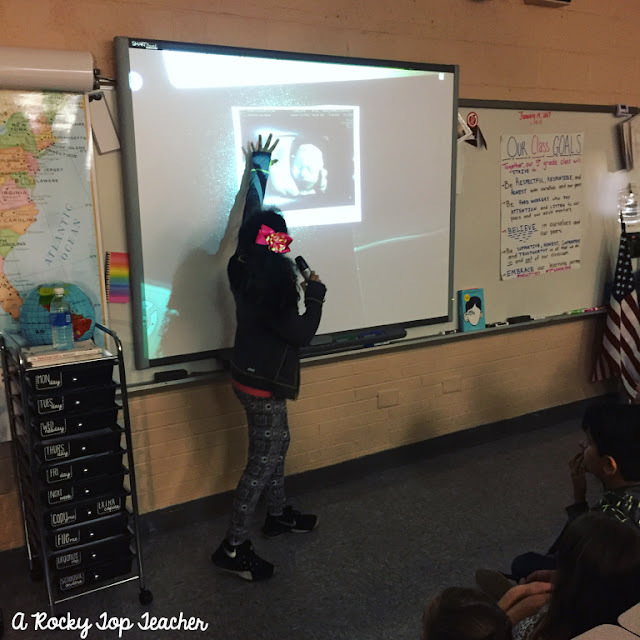 Sometimes we hear sad stories about the passing of a child's pet hamster, sometimes students tell jokes, other times students share something that they made at home such as a photo album. Last week, I shared a photo on my Instagram page about one of our sweet kiddos sharing a sonogram of her baby sister. Her mom has been battling health complications during this pregnancy, so she is staying hours away at a hospital to be monitored. Providing the student the opportunity to share and talk about it with the class was healing for her, and I was so proud of the class as they supported her. 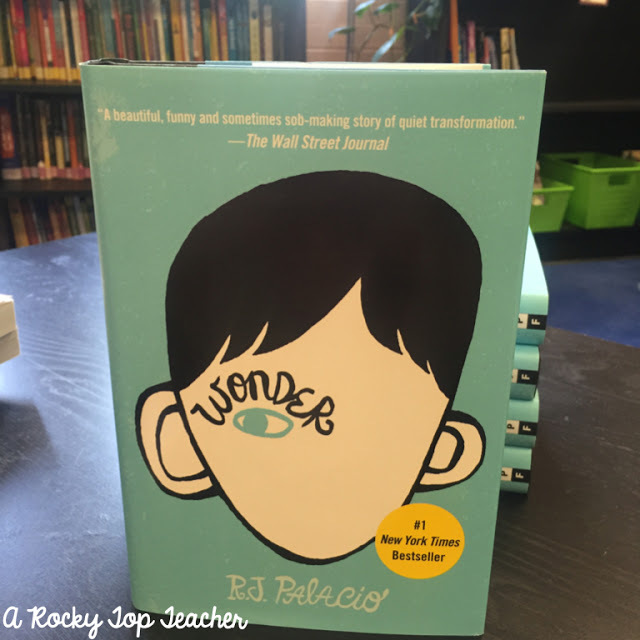 Reading aloud as a class is one of my non-negiotables (along with giving kiddos silent reading time every day). I will give up other things before I give up reading aloud with them. One way to help us make sure that we have time for our read aloud is by putting it at the end of our morning meeting. It is a great way for us to come together, relax, bond, and fall in love with a story. At the end of our morning meeting, we head to specials. We have recently started saying a chant/call and respond as we go out the door to help us keep our positive vibe going! I say, "Today is going to be a..." and the students respond with "GREAT DAY!". We love morning meetings. We spend about 20-25ish minutes together in our meeting, and we are relationship building all the way through. It is structured yet relaxed. The students lead as much of the morning meeting as possible, and I love starting our day out this way together! I totally LOVE Morning Meetings, too! I let my Line Leader start with choosing the greeting and the hand movement (shaking hands, pinky shake, high five,...). A lot of the kids write down their question ideas for sharing, too ~ which I appreciate. I enjoyed your post every much!